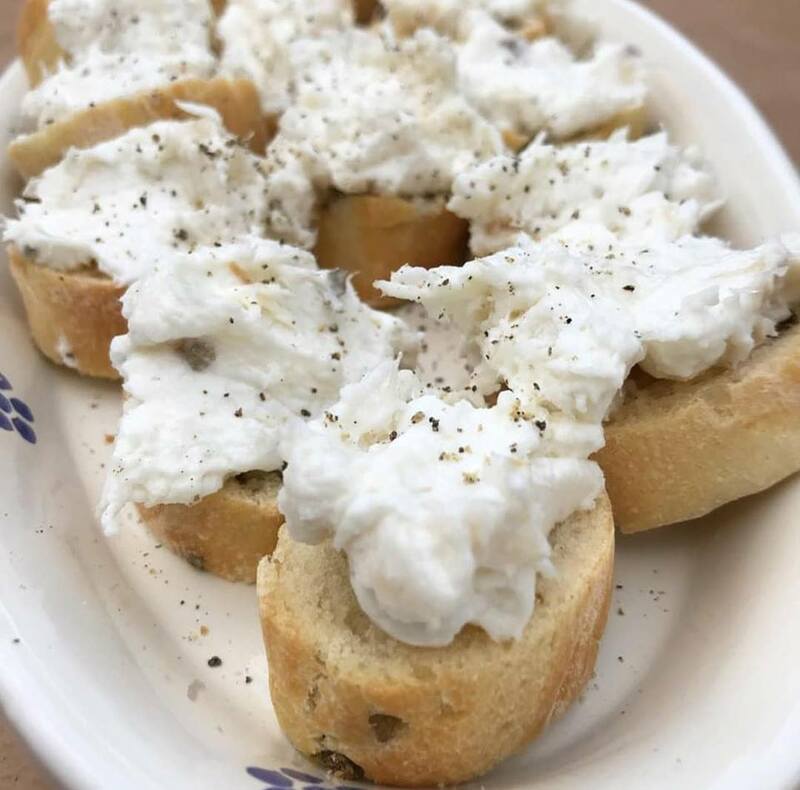 Baccalà Mantecato is a classic Italian whipped salt cod recipe from Venice. It is a very refined and decadent way to enjoy bacalhau with an incredible texture and flavor. It is great for serving when guests are around and is always sure to impress. 1) Soak the cod in a bowl of water over 24 hours, changing the water 2-3 times over this period. 2) Once ready, place the soaked cod in a large saucepan and cover with water. Bring to the boil and simmer for 15 minutes. 3) Drain the water, remove the skin and any large bones. Break the fish into pieces and place in a mixer/food processor. 4) Add the olive oil, garlic cloves, and light cream to the mixer/food processor and mix until it reaches a smooth and even consistency. 5) Season to taste with salt and pepper and serve on slices of baguette.